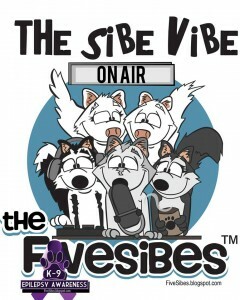 Join host Dorothy Wills-Raftery as she welcomes Rick Selwood to The Sibe Vibe. Rick Selwood of The Wally Foundation (TWF) for Canine Epilepsy at www.TheWallyFoundation.com and on Facebook. TWF is a non-profit organization, named after Selwood’s late Epi St. Bernard, Wally, that offers possible financial assistance to rescues, fosters, and parents of dogs with Idiopathic Epilepsy for medications and treatments.